2005 Chevrolet Truck Silverado 2500 HD V8-6.6L, Diesel, LLY. 2005 Chevrolet Truck Silverado 3500 V8-6.6L, Diesel, LLY. 2005 GMC Truck Sierra 2500 HD V8-6.6L, Diesel, LLY. 2005 GMC Truck Sierra 3500 V8-6.6L, Diesel, LLY. Audi TT (CBFA or CCTA engine) 2009-2010. Audi A3 (CBFA or CCTA engine) ​2008-2013. 1 YEAR WARRANTY For all products. All of our parts, be it suspension parts, electrical parts, engine parts, body panels, drivetrain parts are ISO/TS16949 certified by quality manufactures from all across the globe. 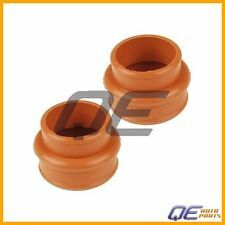 Silicone DISA Valve O-RING for Intake Manifold Adjusting Unit. BMW 330CI 2001-2006 M54. BMW 325I 2001-2005 M54. BMW 330I 2001-2005 M54. BMW 330XI 2001-2005 M54. BMW 530i 2001-2005 M54. BMW X3 2004-2006 M54. (All E46 (3 series), E60 (5 series), E56 (X5), E83 (X3) BMW vehicles with M54 engine. A) If you have the M54 engine, it will work regardless of the body type you have. E46 (3 series), E60 (5 series), E56 (X5), E83 (X3). Intake Engine Manifold Assembly. 1 Piece with OEM Intake Gasket Set Kit. Air spring must be deflated before servicing or disassembling strut/air spring assembly. Instruction not included. 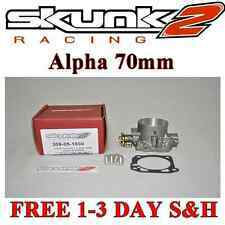 Skunk2 is proud to introduce its 70mm Alpha Series Throttle Body for Honda's B-series engines (also compatible with D-, F-, and H-series) in its exclusive, fine shot-blasted surface finish. 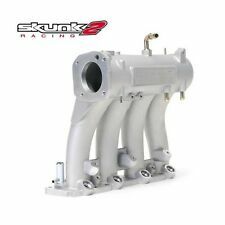 All Skunk2 throttle bodies undergo an extensive design and testing process to produce a throttle body that doesn't just provide more flow but retains smooth drivability and OEM throttle characteristics. 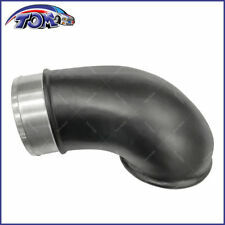 P2015 FAULT INTAKE MANIFOLD SWIRL FLAP AUDI SKODA SEAT VW FIX REPAIR BRACKET. If you've got P2015 ERROR Code in your 2.0 TDi Common Rail VW, AUDI, SEAT, SKODA, probably you need one of our repair brackets. The BLOX Racing intake manifold spacer for the Nissan VQ35 is specifically designed to help increase the manifold’s capacity and lower the intake air temperature. Plenum Thicknesses. 2002-2008 Nissan 350Z coupe (non RevUp engine). Engine(s): B16A-B, B17A, B18C1-5, B20A-B. 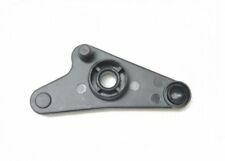 Includes Thermal Manifold Flange Gasket. Make: Honda, Acura. For Volkswagen Audi Skoda 2009-14 Intake Manifold Repair Bracket 03L129711AG 03L129086. For Volkswagen Audi Skoda 2009-2014. 1 set Intake Manifold Repair Bracket. -Type:Intake Manifold Repair Bracket. The repair kit is suitable for manifolds with actuator motor No. 059129086J, 059129086L, 059129086G, 059129086K. Our bracket is also a preventative fix. Installing a bracket now will stop trouble later. Part Number: 8018. 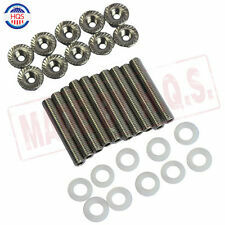 4150 Square Carburetor Bore Mounting Flange. Power Band Idle 6800 RPM. Machined For Standard Deck Blocks. High Rise Dual Plane Design. Material: Aluminum. CNC Machined from high-strength steel for perfect fitment and lasting quality. Be careful of Diesel fuel contamination with other torque plates on the market that have been painted or anodized. Increase horsepower and torque without sacrificing your engine's reliability. Horsepower gains of 20-100 hp and 100-250 ft/lb of torque (depending on fuel plate number). Perfect for upgraded torque converter, clutch, fuel injectors, or other driveline modifications. 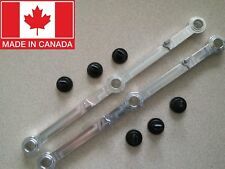 Can be installed easily in 1-2 hours with simple hand tools..
LS Flywheel / Flexplate Holding Tool. Keep your engine from rotating while installing bolts with the ultra high strength, steel flywheel / flexplate holding tool. Use when installing balancer, flywheel, torque converter, etc. bolts. Fits Nissan Skyline, RB20DET/RB25DET 6 CYL ENGINES only. Direct Bolt on,Stainless Top Mount Tubular Manifold. Polish Finish,Stainless Steel. In order to keep our prices low, we have the following purchasing policies. SEAU-AUC446/2 C446=1. Air Filters & Intake Manifolds. 2007-2008 Dodge Sprinter 2500 3.5L V6 VIN:6. Repair Kits. Heat & Air Conditioning Parts. Compatibility info provided only for US models. Our hours of operation are. Audi A4 3.0 TDi - BKN, CWWB, ASB, CAPA, CCLA, CCWA. Audi A5 2.7 TDi - CAMB, CGKB, CAMA, CGKA. Audi A4 2.7 TDi - BSG, BPP, CAMA, CGKA. Audi A5 3.0 TDi - CCWA. Audi A4 Convertible 3.0 TDi - BKN, ASB. Audi A6 2.7 TDi - BSG, CANB, CAND, BPP, CANA, CANC. Trending at C $306.57eBay determines this price through a machine-learned model of the product's sale prices within the last 90 days. OE NO. : 06J133201BD. INTERCHANGE PART NUMBERS: 06J133201BD, 06J133201AS, 06J133201AL, 06J133201G, 06J 133 201 BD, 06J 133 201 AS, 06J 133 201 AL, 06J 133 201 G, Without Solenoid Valve and Angular Sensor. For 04-08 Acura TSX (Base). For 06-11 Honda Civic (Si). Only compatible with '06-'11 Civic Si K-series engine. 1x Intake Manifold. Intake system. Color: black. Vehicle compatibility charts are for REFERENCE ONLY. For sale is a new aluminum dual plane intake for small block Chevy's with Vortec heads. Vortec Heads - 1500-6500 RPM. Intake works with small blocks with '96 Vortec heads. For use with square bore style carbs. The BLOX Racing intake manifold spacer for the Nissan VQ35 is specifically designed to help increase the manifold’s capacity and lower the intake air temperature. Plenum Thicknesses. 2003-2005 Nissan 350Z (single throttle body). Instantly add10-15 horsepower & a deeper engine note to your Z with a Motordyne plenum spacer. The Motordyne Plenum spacers are stealth. The Motordyne Copper Iso Thermal plenum spacer adds 12HP-14HP & reduces the effect of power robbing heat soak by thermally isolating both the upper & lower plenum. The DISA Valve adjusts the intake manifold runner length to improve performance. 2006-2011 E90 BMW 328i 328xi 328i xDrive (N51) - 330i 330xi - Sedan. 2009 Z4 BMW Z4 sDrive30i. 2006-2012 E91 BMW 328i 328xi 328i xDrive (N51)- Wagon. 06J133201BD, 06J133201G. Volkswagen Tiguan 2009-2015. Audi A3 (CBFA or CCTA engine) ​2008-2013. Audi TT (CBFA or CCTA engine) 2009-2010. Volkswagen GTI (CBFA or CCTA engine) 2008-2014. Volkswagen EOS (CBFA or CCTA engine) 2009-2015. 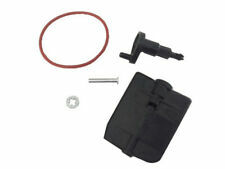 (BMW Benz Brake Pads Senor. 8)For Benz We have 20 years' experience of car parts trade. 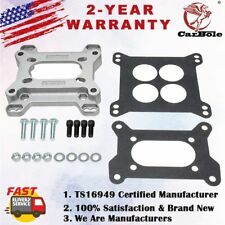 This is a custom designed Intake Manifold kit made of Aluminum, originally the flap on the Intake Manifolds are made of plastic and they do break, to replace them by dealer usually need to replace The complete intake manifold and that is very costly. New thermostat, o-ring, and screws. 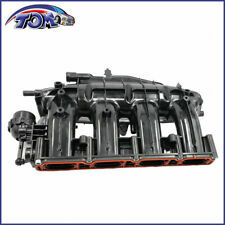 Kit includes:Complete improved intake manifold with new aluminum crossover. Re-engineered reinforced plasticIntake gaskets molded into the intake manifold. 1996-2000 Lincoln Town Car V8 4.6L (8th Vin Digit W). 1x Purge Solenoid as Pictured. 1993-2002 Mazda 626. 1992-1995 Mazda 929. 1995-2002 Mazda Millenia. 1992-1998 Mazda MPV. 1993-1997 Mazda MX-6. We will try our best to solve the problem and improve your buying experience.